Leipzig is only two hours of drive away from Berlin and the short distance convinced me to go back on travel, after one month of self-imposed break. The day welcomed my decision with an unusual sunny and mild weather, glowing the landscape and bringing the nature back to life after the overnight frost. I've been to Leipzig before, but always in a hurry and without seeing too many museums. This time, I chose a week day and started the journey very early in the morning. The driving went smoothly, except the long line of cars and minutes of waiting on the streets around the imposing Central Station. But we found fast a place to park the car and started the travel adventure. The Ring area is nowadays a very busy commercial hub, but in the last days of the Democratic Republic it was the meeting place of protesters asking the end of the dictatorship and civil rights. Short historical presentations in German and English are reminding those times. 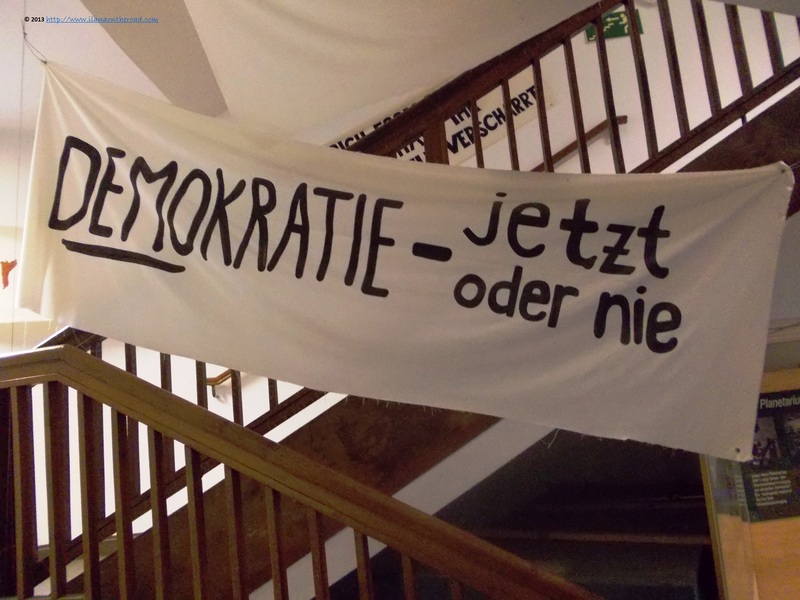 The first stop is the School Museum, where placards from October 1989 with messages for democracy and freedom are exposed at the entrance. Children from primary school were explained in small and old looking classrooms about the history of learning in Germany, with handbooks and old writings exposed on the walls. At the beginning of the 20th century, here was also located the Jewish school, or the Carlebach school, named after Rabbi Dr. Ephraim Carlebach, the Orthodox Rabbi of Leipzig. The school operated till 1942. The Carlebach family had a high profile of scholars and rabbis in Germany. The son of Rabbi Ephraim, Esriel Carlebach founded in Israel the newspaper Maariv and his nephew was the famous contemporary rabbi Shlomo Carlebach. Around the corner of the School Museum are situated the once frightening headquarters of the Stasi, GDR's intelligence services. The stylish building was before a fire station. 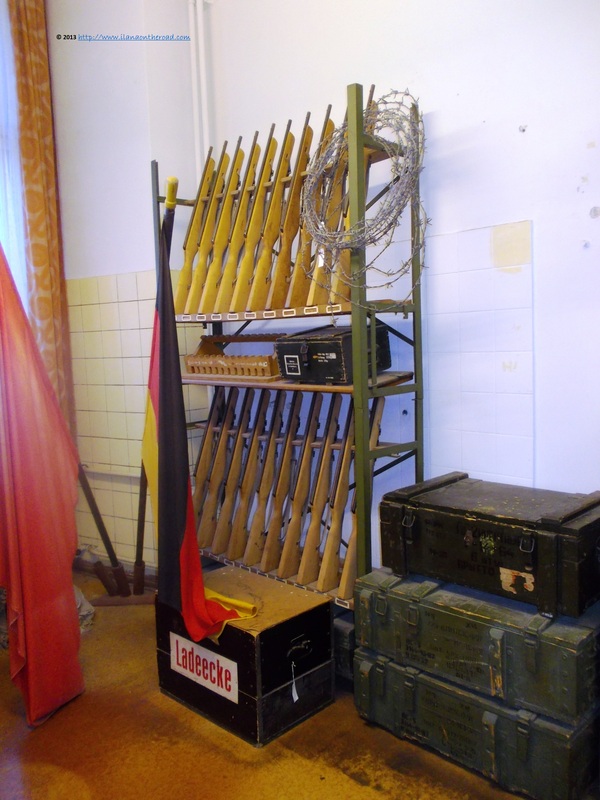 Before being occupied by the protesters in 1989, the Stasi officers removed partially the archives of the long history of abuses and persecutions against the local inhabitants. Like other similar locations I visited in Berlin, it has a bunker and a mini-prison, and the offices of the high ranking officials look grey and unwelcoming. 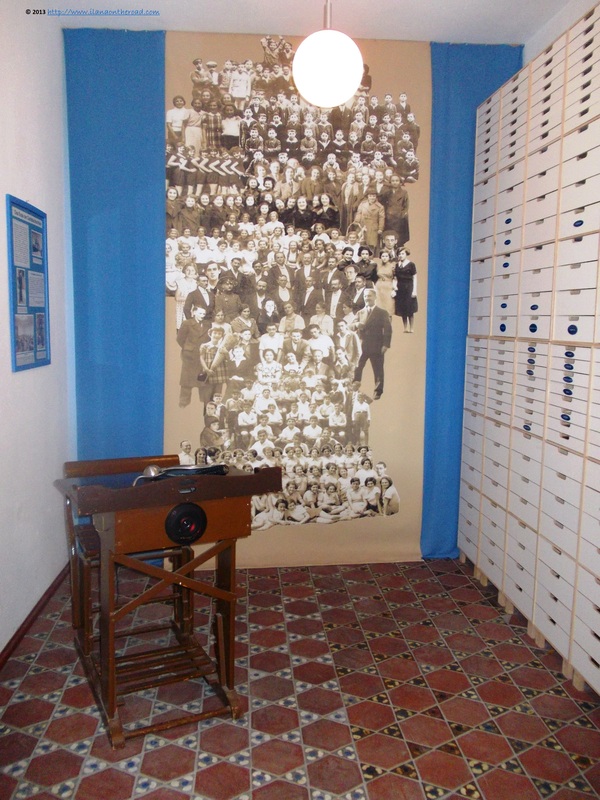 The museums has a collection of items from the time, including some insights about the surveillance techniques, many taught by the big brothers from the KGB. Too much unpleasant histories! I need to see something beautiful and seconds after leaving the building of horrors, I entered the beautiful world of beautiful architecture and hidden passages. 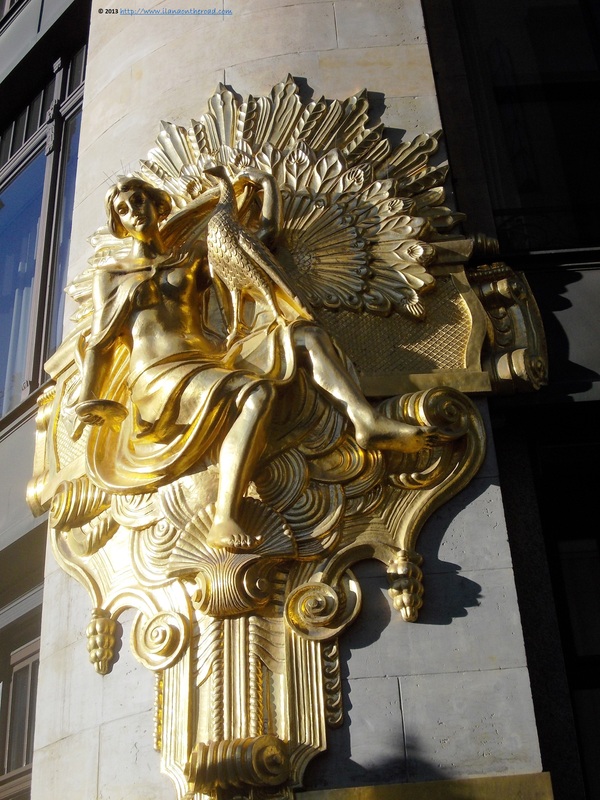 My strongest memories of Leipzig are the golden decorations of Commerzbank that are shining under the shy winter sun. We enter the building and go till the last store, admiring the interior decorations and the exhibition of elegant cover books of the Insel edition house, that published, among others, the works of Rainer Maria Rilke. 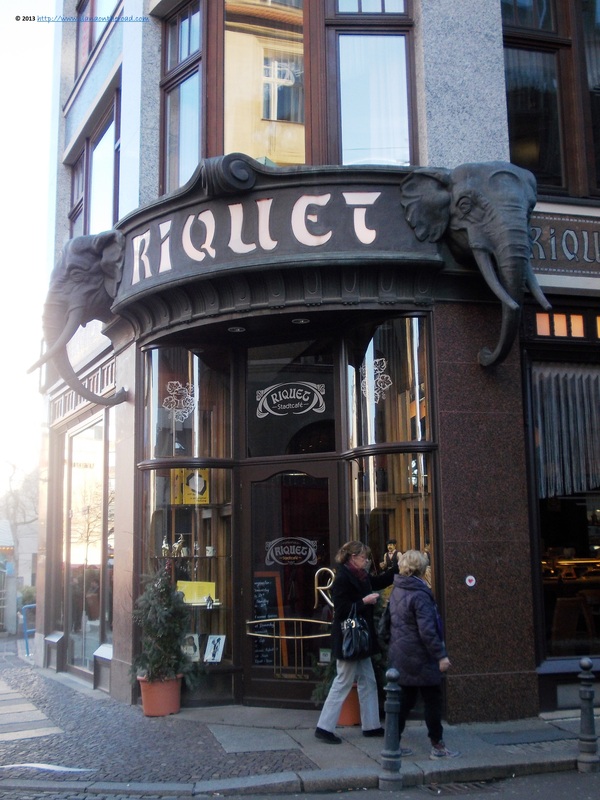 Another wish I had the last time I visited Leipzig is to enter once the Riquet coffee. Riquet was a big company of import and export of cocoa and coffee and the special design with a Japanese inspired painting on the top of the building and the big elephants at the entrance is aimed to remind those times. Inside, a cozy ambiance of a Wien coffee house, with a classical music in the background. Is never too late to have a coffee, especially when you woke up very early in the morning. 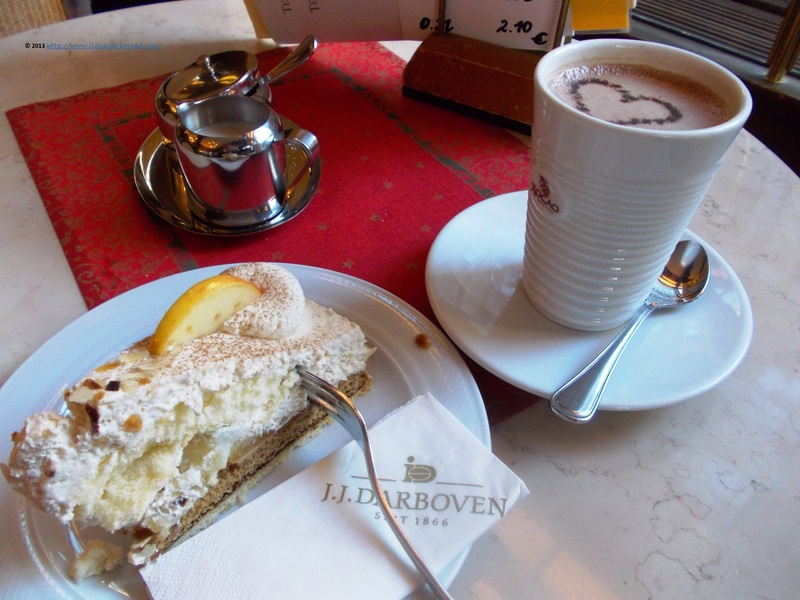 I order a 'Mexikaner' - not with Kahlua, but with 1/2 coffee and 1/2 cocoa, an interesting combination, but not too die too much for - and a Wintertorte, very sweet but giving me enough energy to continue the rest of the city tour. 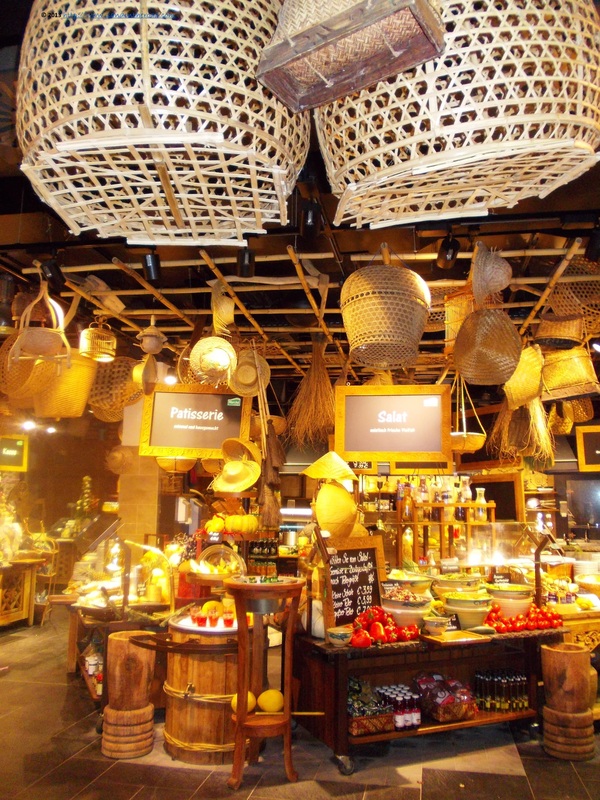 We had a look at the Specks Hof Passage, the oldest in town, hosting interior design shops and the very addictive Tortissimo, selling various baking shapes, recipe books and even a mini Macarons kit. I discover a small gallery selling porcelain and silver jewels. We continue our further shop hopping on Grimmaische street with the local Lehmann bookstore, the French Cottage interior design shop and the very rich Culinaris, with another cooking and baking suggestions. On Ritterstrasse, close to the university area, there is an impressive number of old bookstores, hosted at the ground level of massive houses with decorated balconies. Augustusplatz is the meeting place between courageous modern architecture and the classical style of the 20th century. What now is classical used to be once revolutionary, as in the case of the first 43-meter sky scraper built at the beginning of the 20th century - and the buzz of the season's open markets and merry-go-rounds. Close to the concert hall is the 1-star Michelin restaurant Stadtpfeiffer. 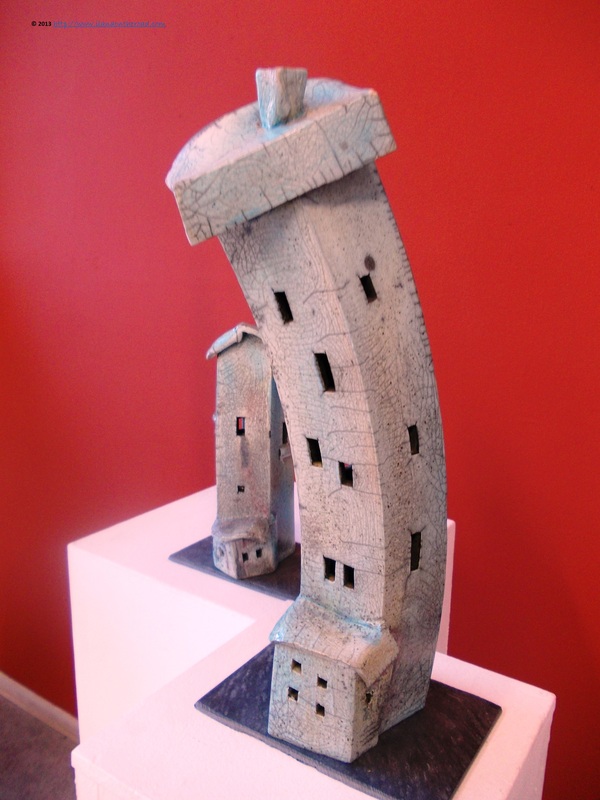 I stop for a couple of minutes at the Ceramic Gallery Terra Rosa that has on sale or exhibits only a lot of interesting works of local or Berlin artists, including an ingenious leaning tower. Leipzig was not only a very important trade and fair center in Central Europe, but also a city of music. J.S.Bach, Edvard Grieg and Felix Mendelssohn-Bartholdy, among others, spent their time in the city to work, live or create. 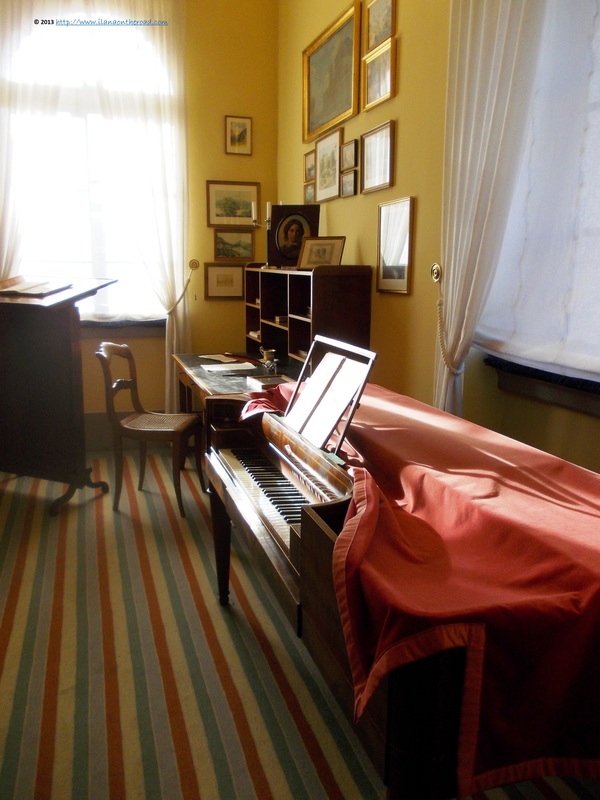 I visit the latter's museum, hosted in the house where he spent the last years of his life. It is an old classical house, with rooms recreating the original ambiance, with water colours painted by the composer, inspired by his travels in France, Germany, France or London. Mendelssohn's work was very important in developing Leipzig as a center of European music in the 19th century. From the museum, we walk the nearby streets for a while, looking at the architecture of houses, and take a tram in a predictable direction: Zoo. The weather is perfect for a couple of hours outdoor activities. 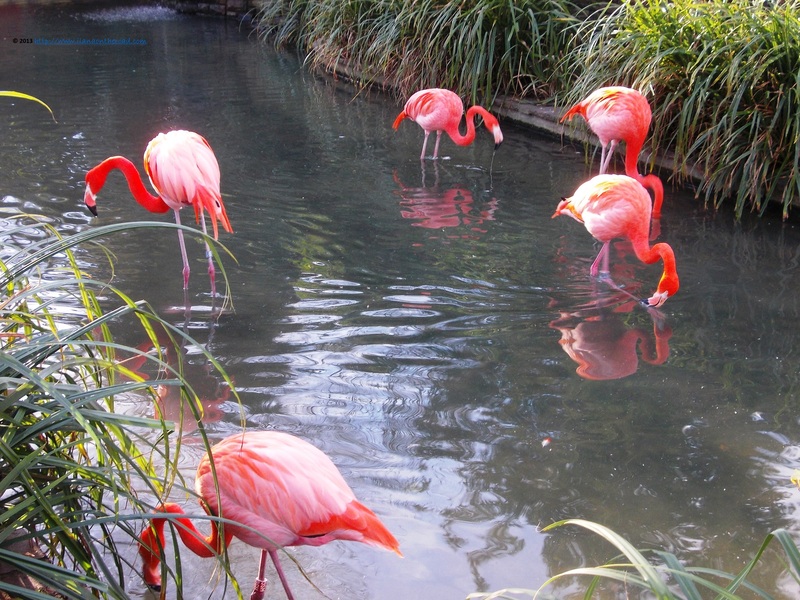 The Zoo is not only very diverse, but covers a huge space, organized in geographical areas created to offer as much as possible similarities with a natural environment. The Jugendstil Aquarium is one of the best I've seen since my trip to Antwerp, with fish and reptiles from all over the world. The flamingos from Chile are gracious and hard to leave easily before observing for long minutes their movements. I have the same feeling of time constraints when I realize that I cannot stay too long observing the Rhesus monkey or the scarlet ibis. Almost area big of the Zoo has a specific restaurant, but we only stop at the Oriental restaurant from the Gondwanaland (the name of a disappeared continent). The veggies are good, even though a bit expensive for the quality, but we are in a tropical forest on a terrace that reminds the Asian traditional retreats so better stop complaining. Later on, we discover the African restaurant, more welcoming and tempting foodie-wise but it's too late for another lunch. The tropical forest is very demanding if you walk especially because of the heat that take some more energy. 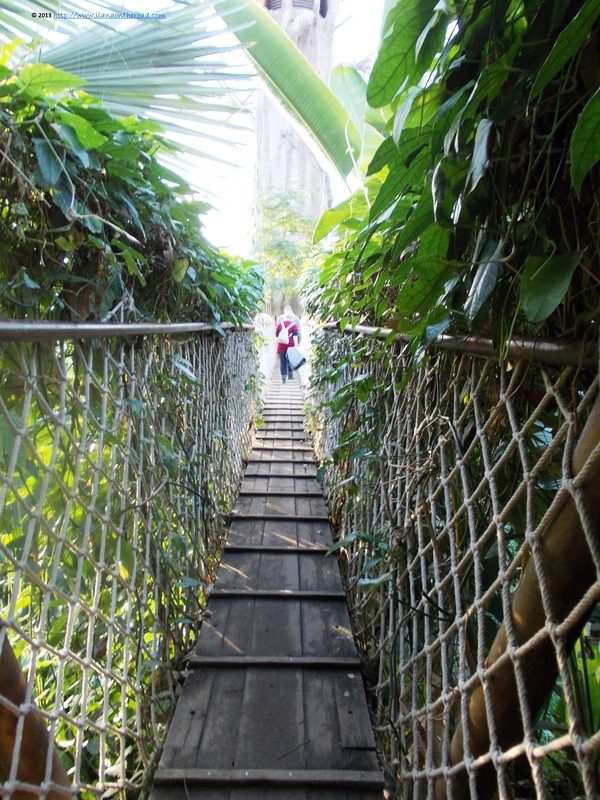 It has many points from where you can have a look around, especially from the high of the narrow bridges. The area can be also explored by boat. We go further to the Australian area, but there are no Kangaroos, ostriches or gazelles available to welcome us and I am highly disappointed. Lucky me that the Amur tiger and the elephants are there to be seen. Maybe I should take more serious the idea of going on a safari in the next months and I can see animals in a free environment too, not only in the classical enclosures. The Zoo trip, as usual, was the biggest part of the program and with the dark coming up around 15.30, it is about time to return home. We take a last walk on the main central streets, trying to figure out what we must see the next time. It will not take too long till we will be back to Leipzig.